Guess what today is…. another snow day! Please Spring make your appearance soon. However, until then we will have another movie night (err day) and enjoy Big Hero 6. It just came out yesterday and we missed it while in theaters so we are super excited to give this one a watch. To make this snow day a little more enjoyable we decided we would create some yummy treats to go along with the movie. What better treats than cookies I say. To be completely truthful, these were inspired by my brother (yep, my brother) who made cookie pops with his daughter for our Valentine party a couple weekends ago. 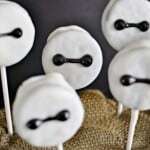 They turned out yummy and I thought I could easily turn them into Baymax cookie pops with just a little switch of sprinkles to black gel icing. Melt your white chocolate or bark in a double boiler (my preferred method) or the microwave. While the chocolate is melting push Popsicle sticks in your cookies. The double stuffed cream sandwich style cookies work the best for this so that you have plenty of room to push the Popsicle sticks into the cream. Be gentle about it so that the cookies don't pop apart. 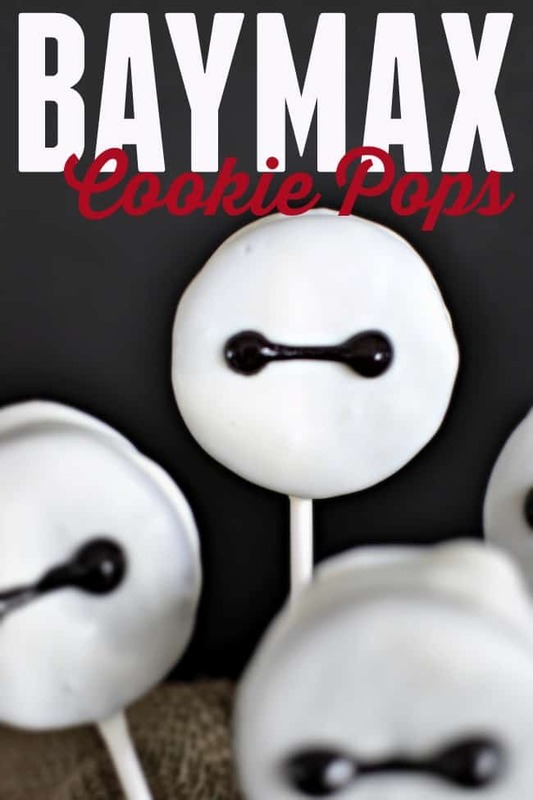 Cover your cookie pops with the chocolate, completely coating both sides. Allow excess to drip off and place on a piece of wax paper. 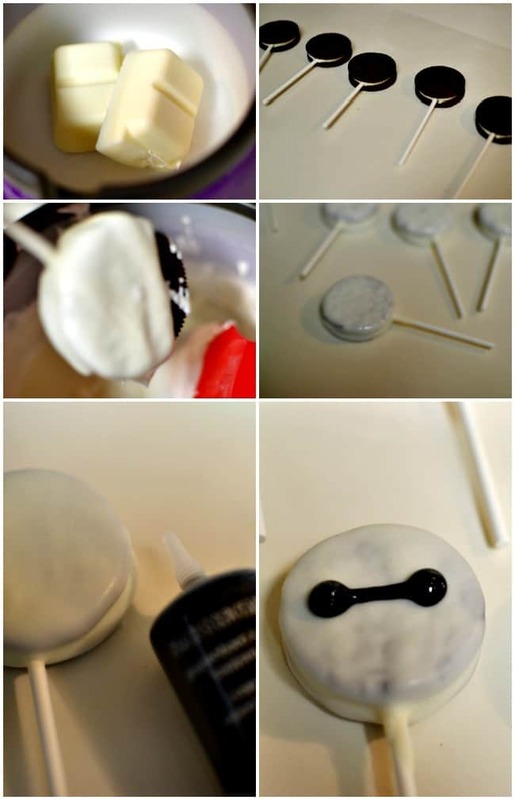 Once your pops are set then you can use the gel icing and draw on the Baymax face. Allow the face to set and enjoy. You don't particularly have to wait for the face to set before eating them but if you were to serve them at a party you would want to allow them to harden so that his face doesn't run. 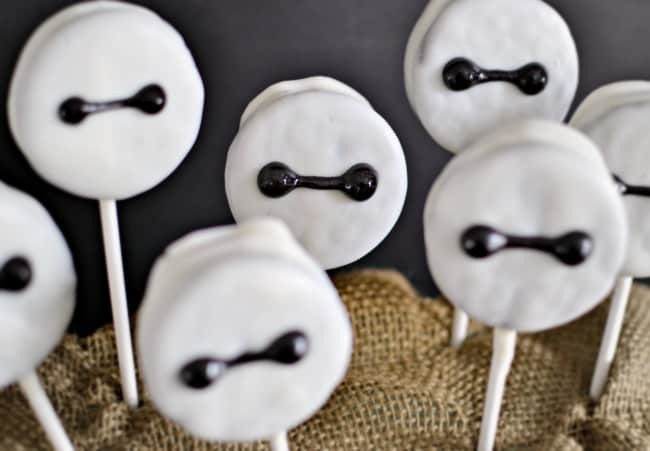 That is all there is to creating these cute little Baymax pops. I think they turned out really cute and not to mention super yummy in my tummy. Because really who doesn’t love chocolate covered cookies? Am I right? 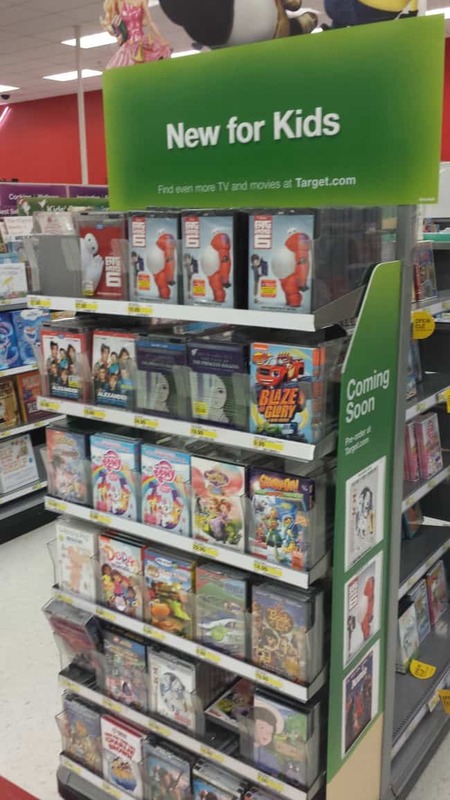 If you want to have a family movie night with Big Hero 6 then you can pick it up at your local Target. That is were we grabbed ours and easily found it in the ‘New for Kids’ movie section. So curious minds want to know, what was your last family movie night? I’m totally making this with my daughter! 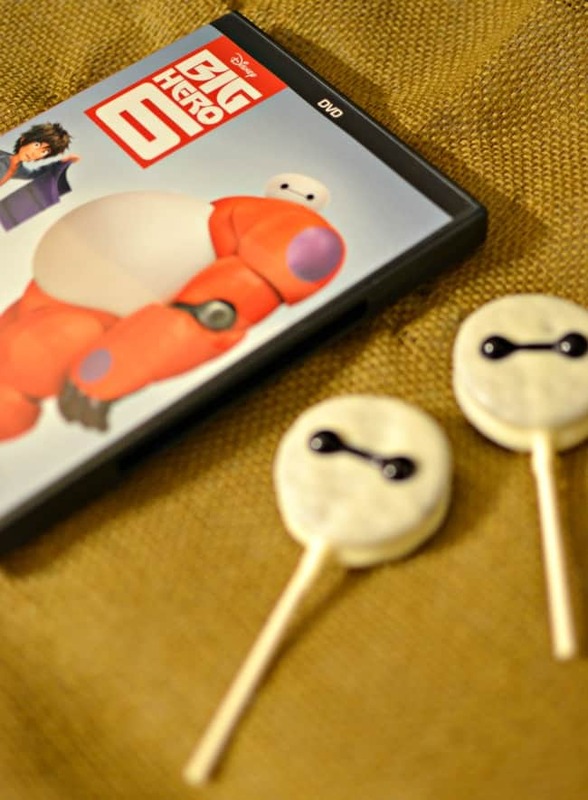 We loved Big Hero 6, and these look yummy! Those are SO cute! 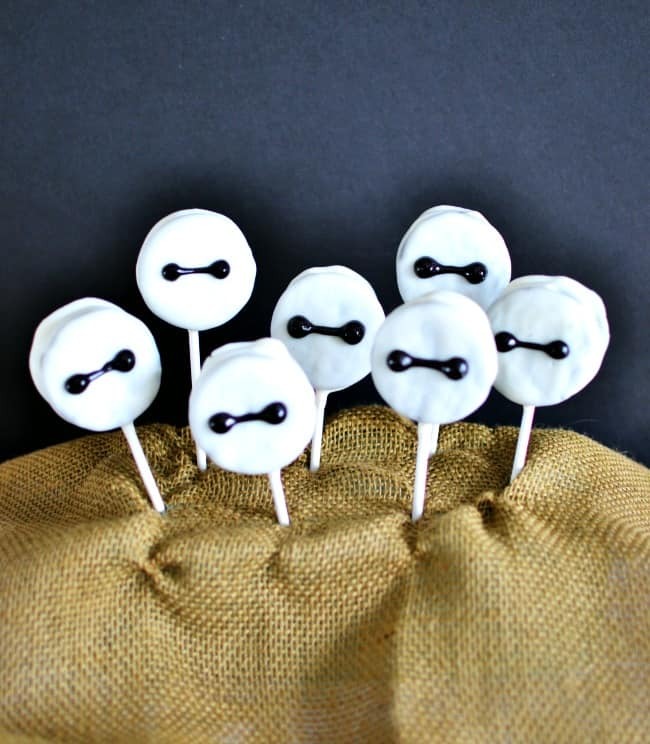 We’re heading out to get the movie and these would be the perfect snack to go with them! We are having a Big hero 6 viewing party soon. Making these for the party! Oooohhh…. That sounds like tons of fun. Same here…. It is looking like we may be in for another snow day tomorrow. We will probably watch it again. These are so cute and I bet they were delicious! This is super cute!! The movie was super cute too! Those are so super cute! Sound yummy too. My kids loved that movie, it really is a great one. These are so fun! The perfect treat! These are SO cute & they look so yummy!! These are AWESOME!!! What a fun idea – I cannot wait to show them to my boys! These are awesome and so easy! We’re so excited to see Big Hero 6 at home. Too fun and so creative! We loved the movie!